Post-Fidel Castro Havana may lose its long-time protector and guarantor of security, Russia, according to Cuba-watchers in Miami's community of exiles and dissidents. 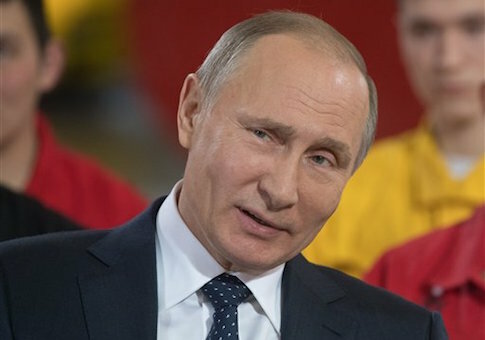 They predict Russian President Vladimir Putin will offer the incoming Trump administration a free hand to deal with Cuba as it sees fit in return for the United States recognizing Moscow's invasion and annexation of the Ukrainian region of Crimea. The assessment comes from former Cuban officials who fled the island nation under the rule of Fidel Castro. They said Putin is seeking to use the recent passing of Castro as an opportunity to take the pressure off a deteriorating domestic economic situation back in Russia. The first indicator was the naming of the Russian government officials who led the delegation to attend Fidel Castro's funeral, said one former Cuban official now living in Miami. The two most senior members from Moscow's political order dispatched to Havana were Vyacheslav Volodin, speaker of the State Duma, the lower house of Russia's parliament, and Deputy Prime Minister Dmitri Rogozin. Naming Rogozin as one of the two most important representatives to the funeral ceremony "is almost an insult to the Cubans," said a Russian political analyst in Moscow. "Rogozin is regarded by many as more of a clown than anything else, and he is most famous for a series of ridiculous and bombastic public statements that have no anchor in reality." "It is clear that Moscow wanted to keep the delegation low-key so as to not in any way antagonize Trump by having a senior Russian official like PM [Dmitry] Medvedev or Putin himself deliver a eulogy that lambasts Washington with a lot of inflammatory rhetoric," said a former Cuban defense official now living in the Miami area. "This unusual reticence to engage in the usual anti-U.S. tirade accompanies some other indicators that Putin needs to lay the groundwork for this ‘trade' where the U.S. gets to do whatever it wants with Cuba and he in return gets a blank check for Ukraine." Putin stayed in Moscow during the funeral. His official spokesman announced that the Russian leader was preoccupied with preparing a speech for the president's upcoming annual address to the Federal Assembly—a joint session of both houses of the national parliament. But analysts in Moscow told the Free Beacon that nothing about this event would normally preclude Putin from still attending Castro's funeral. Instead, Putin is preoccupied with the deteriorating domestic situation in Russia. For years under Putin, Russia has engaged in a series of land-grabbing invasions of neighboring nations. Russia is now bordered by "frozen conflict" zones that it either claims as its own or are occupied by Russian armed forces. These "statelets" cost Russia an estimated $5 billion per year—a significant drag on the Russian state's operations. Meanwhile, Russia's economy continues to spiral down while both the value of the Russia ruble and the oil prices that the state budgets depend on for revenue are at record lows. These conditions show little to no chance of improving any time soon. A crisis of public confidence in Putin's rule could very well be in the making. Recent economic data shows that since 2014 the size of Russia's middle class has declined by more than 16 percent, putting an additional 14 million people into the ranks of the poor. The number of people who consider themselves middle class has likewise fallen from 61 percent two years ago to 51 percent this year, while real household incomes have decreased by 7 percent since last year. Much of this decline has been blamed on countersanctions put in place by Putin after the United States and the European Union imposed embargoes on Russia over the invasion of Crimea. The Russian president banned food products from Europe and Ukraine in response to various U.S. and EU travel bans on Russian officials, freezes of Russian assets, and Russian banks being barred from numerous international financial markets. Putin needs a "relief valve" that can reduce Russia's external financial obligations and a lifting of sanctions if the country's economic situation is ever going to improve, said Russian political experts. They told Western news outlets that these sanctions are endangering Putin's chances for reelection in 2018. Some Kremlin insiders have recently floated snap presidential elections—in order to give the former KGB lieutenant colonel another six-year term now while his reelection prospects are still positive. "Proposing this Cuba-for-Ukraine trade is a sign that Putin is running out of options and running out of time," said the Cuban defense official in exile. "And he is just hoping that the Trump team would be naïve enough to take him up on this deal." This entry was posted in National Security and tagged Crimea, Cuba, Russia, Trump Administration, Ukraine, Vladimir Putin. Bookmark the permalink. Reuben F. Johnson writes frequently on defense issues for the Washington Free Beacon and for several leading defense publications worldwide. He has also consulted for the Office of Net Assessment. He is based in Kiev, Ukraine.